A lacrosse game in Philadelphia last week highlighted some troubling issues in the sport, says Allan Downey, a history professor at McMaster University. At a National Lacrosse League game in Philadelphia last week, the in-arena host said "let's snip the ponytail" of Georgia Swarm player Lyle Thompson, who is Indigenous, and some people in the crowd yelled about "scalping" him. "It's really disheartening and disgusting to see," Downey said. "Here we have in front of us this incredible athlete, this incredible person that does all of this work … to remind us where it comes from, and that's Indigenous communities, and that's all silenced very quickly with one statement." Downey is the author of the book The Creator's Game: Lacrosse, Identity and Indigenous Nationhood, which studies the history of the sport. 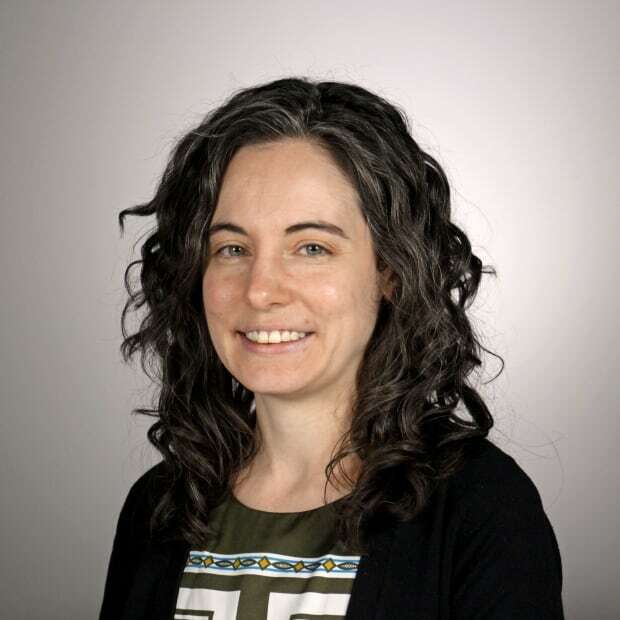 "There's this kind of appropriation of an Indigenous game and cutting it off from epistemology, Indigenous history, Indigenous languages, Indigenous ceremonies that it's been connected to from time immemorial." He said education is key, but "the labour shouldn't be on Indigenous backs." He encourages lacrosse enthusiasts to take time to understand the history of the game and said the NLL and other lacrosse organizations need to do more as well. "It's this incredible learning opportunity." The in-arena host who made the comment has been fired. "I can assure you he won't be doing any work for the Wings or the league in the future," said NLL commissioner Nick Saskiewicz. "It's unfortunate, it's disgusting, there's no place for it anywhere, regardless of whether it's lacrosse or other sports, and we have zero tolerance for this type of behavior." Saskiewicz said the league has been making efforts to honour the history of the sport and that they will be doing even more in the future. He said players and coaches receive media training and diversity training every year but that they're adding an Indigenous module into that training and will be requiring all front-facing team staff and broadcasters to take the training as well. "That's just the start," he said. "We view this as a real opportunity to change, to discuss, to change that thinking, to educate, because obviously those people that participate in this stuff are not educated and it's our responsibility and our opportunity to educate them." 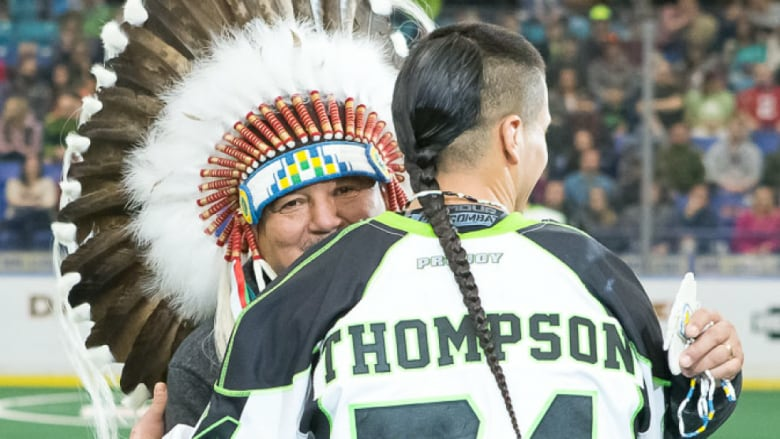 Lyle Thompson's brother, Jeremy Thompson, plays for the Saskatchewan Rush. Jeremy said fans were making comments even before the game started — he said Lyle heard them calling, "Cut his braid," while he was doing warm-ups. "So obviously right from the get go, it was already there." After speaking to elders and family members, Thompson and his brother have decided to start an information campaign for players and fans of the league. "Honestly, I think it's the ignorance of people and lack of knowledge," he said. "I think there is racism still out there, and it's sad to hear it."